NOTE: Grail Games is no longer accepting unsolicited submissions for card and board games. This situation may change mid-2017, please check this page for more details at that time. Before submitting a game prototype, please read our game goals. For your design to be considered by Grail, it must align with these statements. If you believe Grail Games is a possible home for your game design, email us at grailgamesinfo@gmail.com and pitch us your idea! 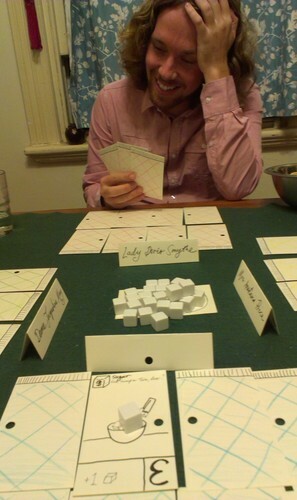 This pitch must be succinct – no more than a couple of paragraphs – and outline the theme of the game, a simple overview of how it is played, and what makes it unique. Once we have entered into the prototype testing phase, Grail Games requests that no other publishers be shown the game design. Usually you will know within two months if Grail plans to publish your game. We look forward to hopefully adding one of your designs to the Grail Games library!